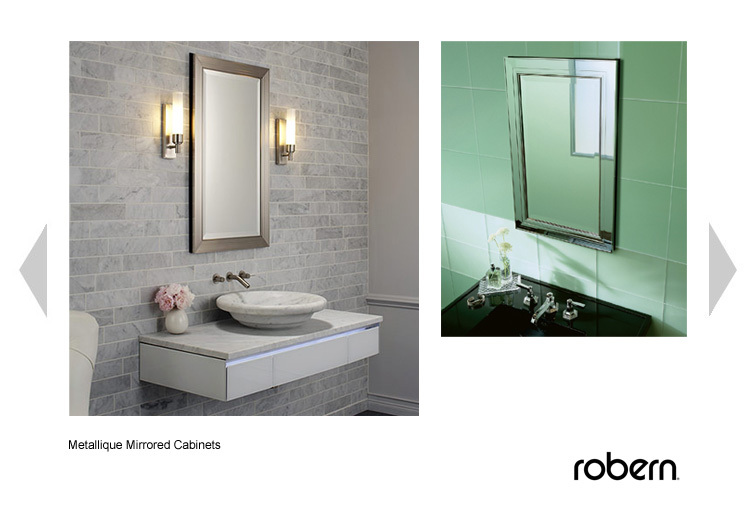 Robern mirrored cabinets were mostly simple-edge or bevel-edged glass over a hidden cabinet. Mick's first idea was to add frames in plated metals, to match popular faucet finishes. The first design, Metallique, used an Art Deco-style profile mounted directly to the mirror surface. More designs would follow this award-winning debut idea.